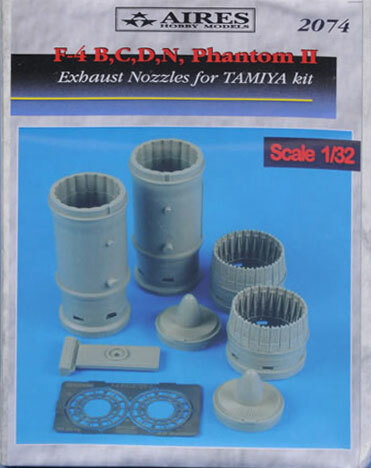 Conclusion: Well detailed and easy to install exhaust replacement for Tamiya's big Phantom family. 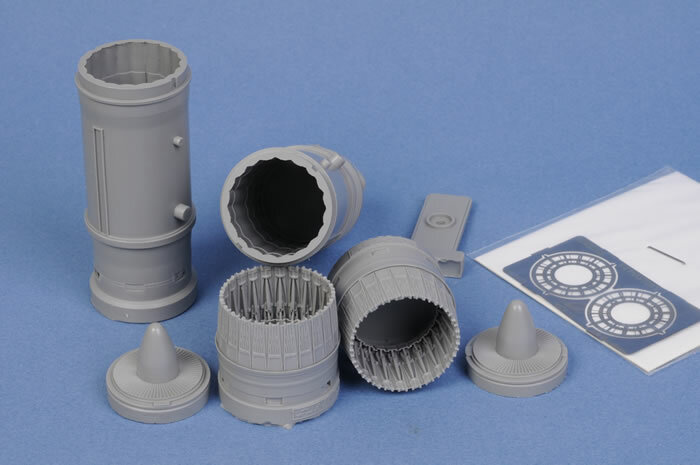 Aires has released a replacement exhaust set for Tamiya's 1/32 scale F-4C/D Phantom II. These exhausts may also be used for any conversions to the early Navy F-4B or the F-4N. Seven parts are presented in perfectly cast grey resin. The exhaust nozzles are beautifully detailed and cleverly cast in one piece each. A photo-etched fret delivers detail inside the exhausts. Once the casting blocks have been sawn off, installation should be very simple. This looks like a drop-fit replacement for Tamiya's exhaust parts.